Rigel Networks designs and develops best in the business EMR solutions to streamline medical practices. It facilitates medical practitioners with custom made applications that provides comprehensive patient reporting and helps them in managing patient’s health care. Our experienced team designs responsive EMR solutions that can be accessed from any device. We integrate all aspects of patient care and provide solutions that enhance patient care and improve clinical productivity. Our EMR solutions follow all norms of authorization including HIPAA security standards for protection of medical records, HL7 for sharing of medical information and ONC certification. Rigel Networks realize the requirement of medical practitioners by designing tailor made EMR systems for specialty and sub specialty practices. We build systems from scratch and even facilitate refurbishing and customizing existing EMR solutions. 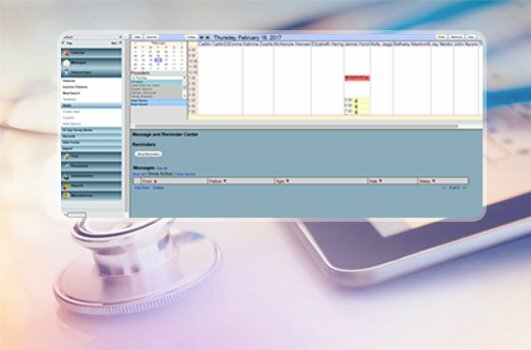 The open source software, OpenEMR supports absolute integration of electronic medical records, medical management, scheduling and electronic billing. Our expert team ensures that you get a comprehensive, customized and fully fledged EMR solution that suits your clinical practices and streamlines its management. We use cloud based technology to manage huge databases and patient records. Systemize patient care and clinical productivity with us!